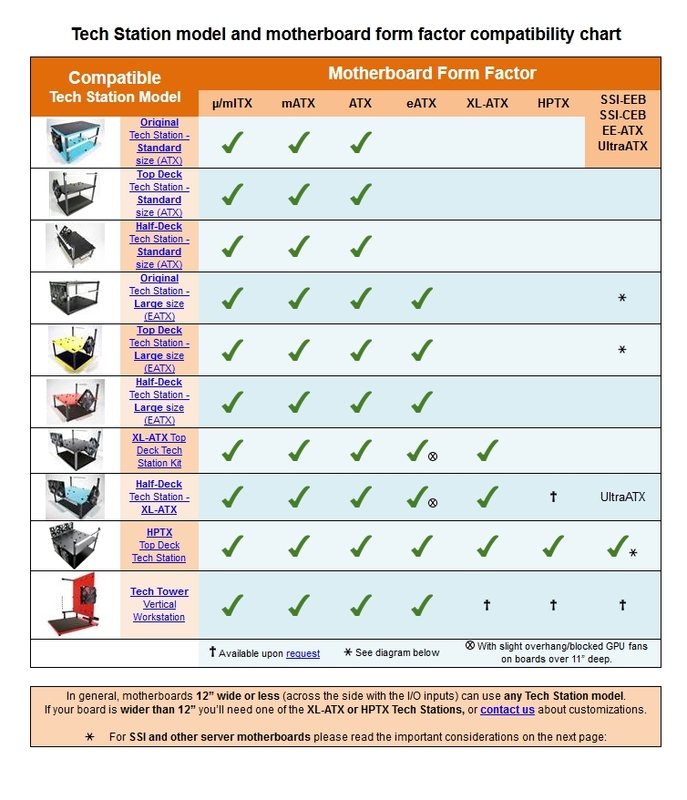 Find which Tech Station model will work best with your motherboard based on the board's form factor specifications, or overall size (width and length). 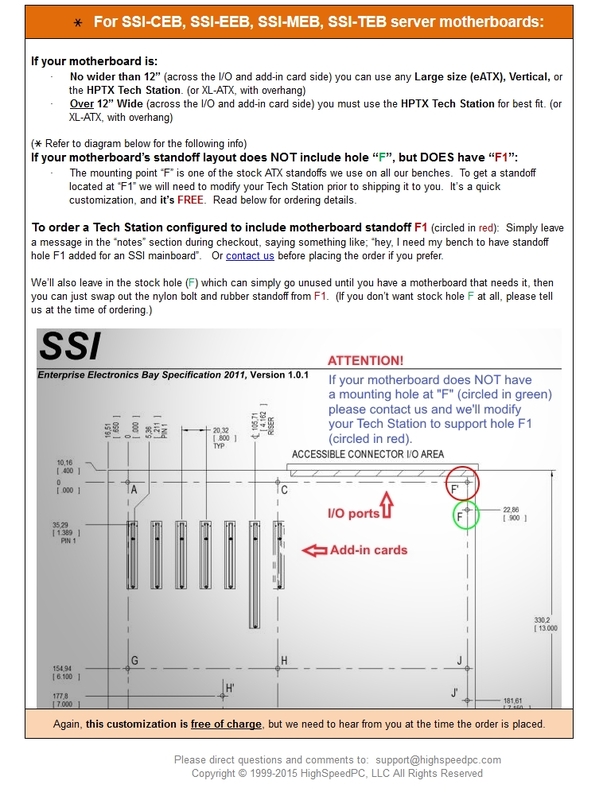 Below the chart is an important spec sheet for SSI-CEB/EEB, EE-ATX, UltraATX and other server motherboards. This explains a special customization needed for certain board standoff layouts. The chart isn't all-inclusive, and we'll be adding new product lines, so if you have any doubts or questions just send us an email and we'll get right back to you. We're always glad to help!